Most homeowners have experienced the nightmare of liquid spills on their carpet. Liquid spills, if not cleaned immediately or properly, can turn into permanent stains. 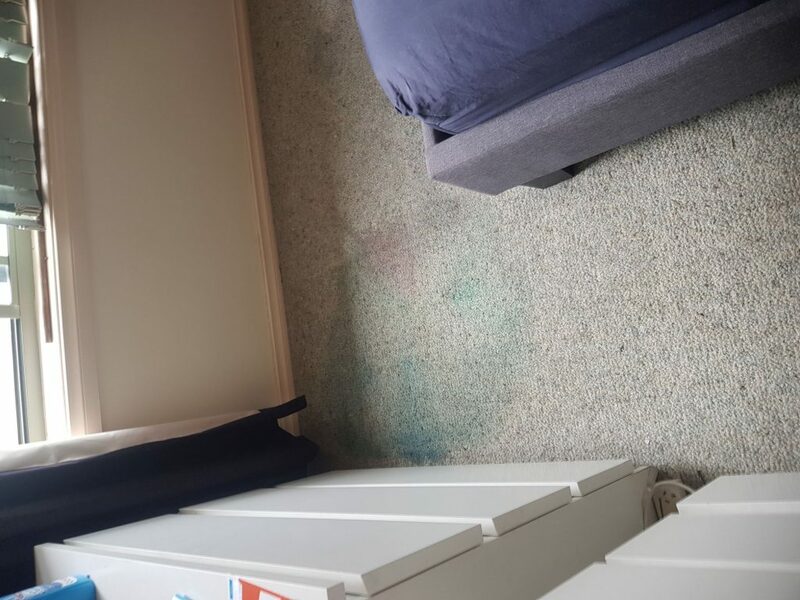 This was the concern of one Shellharbour customer after her kids had spilt a slushie on the carpet. The Shellharbour homeowner called Jason when her initial cleaning attempts didn’t get rid of the stain on her carpet. Seeing her distress about the stained carpet prompted Jason to offer these tips to help you avoid the same problem. The biggest key to preventing stains in your carpets is to act fast. Spot clean the spillage as soon as it happens. 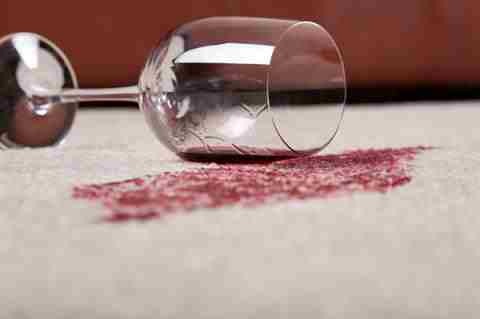 Liquid spills can seep into the carpet making it harder to remove. Blot and don’t rub the liquid spills. Use a white terry cloth or a non-printed paper towel to absorb excess liquid. When treating stains, start from the outside and work in so you don’t make the stain bigger. Vacuum your carpet regularly so that when spills happen they don’t get mixed up with loose dirt. If spot cleaning does not remove the stain, call a professional carpet cleaner like Jason, a Chem-Dry trained carpet stain removal expert. First, Jason vacuumed the carpet to get rid of dust and loose dirt. Next, he used Chem-Dry KB4 pre-spray on the carpet, allowing 10 minutes dwell time. Jason then used Chem-Dry Oxyspotter and sprayed it on the stained area. After 2-4 minutes dwell time, he used a clean towel to blot the spot gently. Finally, Jason rinsed all the products using Chem-Dry’s natural cleaning methods. Before photos show the multi coloured stains created by the liquid spills from the slushie. 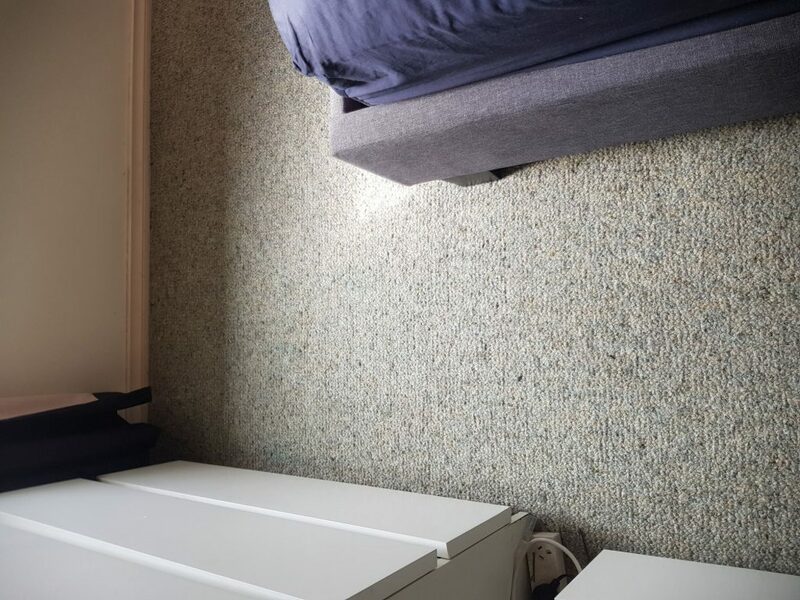 After photo shows a clean stain-free carpet.